What a show! The Years 8-10 cast of Lady Macbeth put on three outstanding performances in the Byre Theatre earlier this month. A huge amount of work went into taking the script from page to stage and the audience certainly appreciated the results! 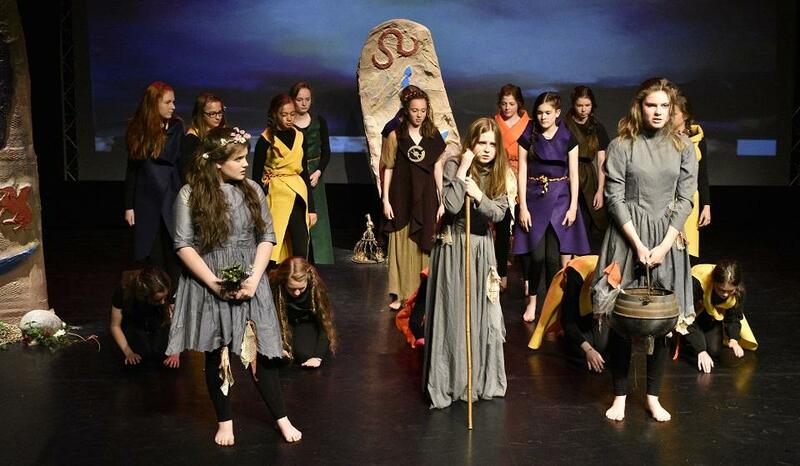 From the costumes to the standing stones on set, the play was spectacular. Special thanks goes to the St Leonards Art Department for creating the wonderful set, to the Directors Mrs Ledger, Mrs Stewart and Mr Kitson, the technical team and, of course, the staff of the Byre Theatre for their support and expertise throughout.